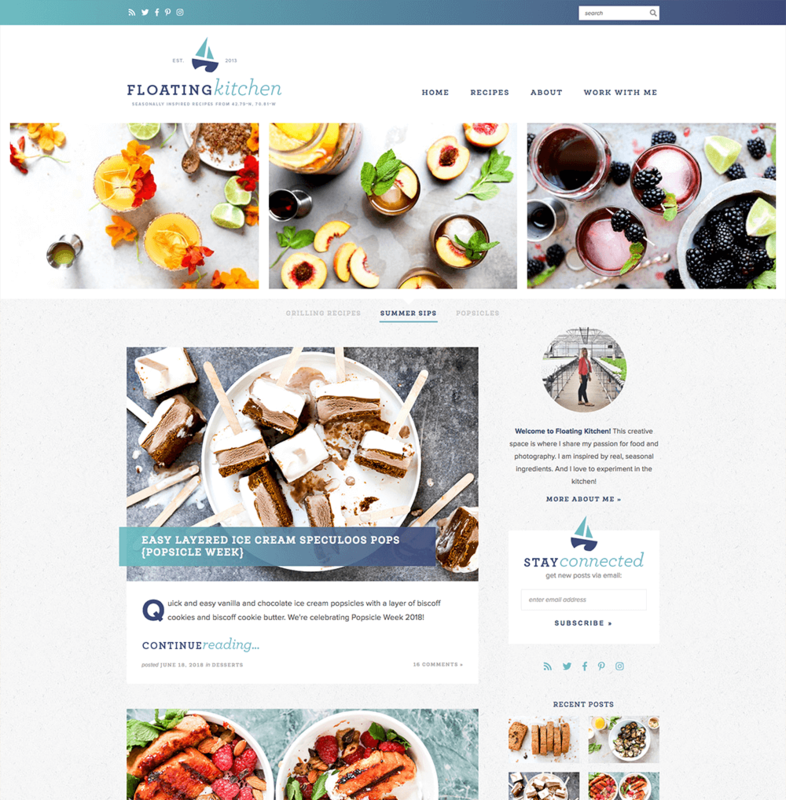 Custom food blog design and logo. 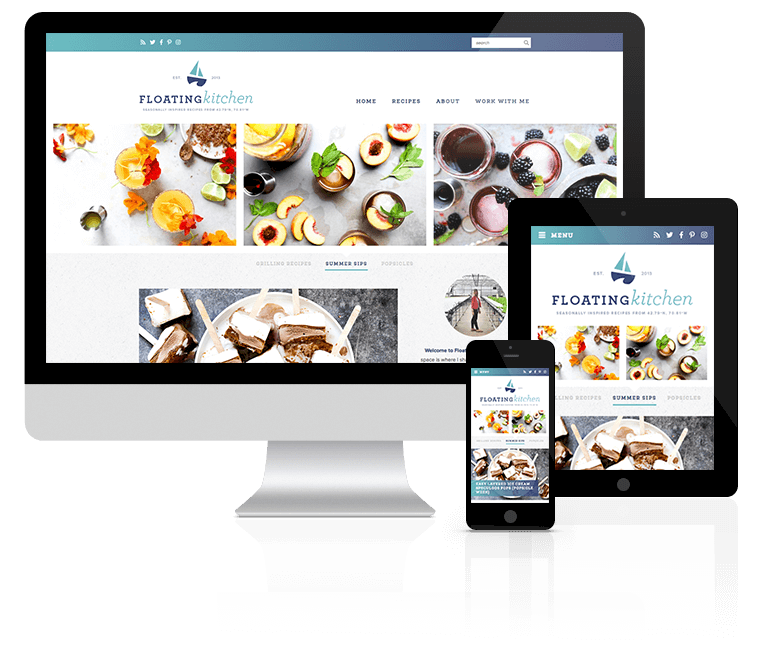 Water-themed color scheme and soft gradient effect as an accent throughout, with a subtle textured background to add depth and dimension. Magazine-style homepage with featured area to highlight most recent and seasonal content, and large horizontal featured images with post title overlays. 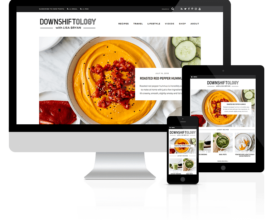 Special Features: Tabbed featured area on homepage, Instagram feed in footer, visual recipe index with thumbnails for most prominent categories.